Cool Town Bro was a 7-week long nationwide campaign across radio, TV and social media to generate brand awareness and sales for Hallenstines Brothers. 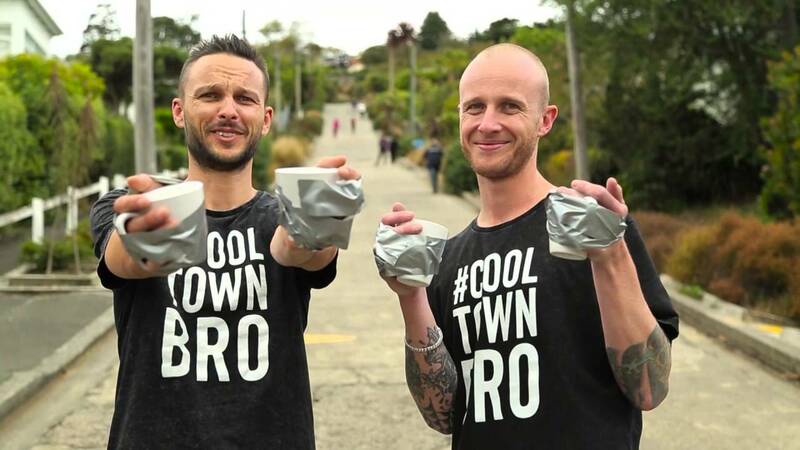 Jono and Ben toured around regional areas in New Zealand (Hamilton, Whagamata, Palmerston North and Nelson) to try and get people to vote for a winning town. They held a number of activations in these areas including erecting a Hallenstines Brothers changing room, and rewarding followers with Hallenstines vouchers and suits. Jono and Ben broadcasted their Edge radio show with Sharyn live from the winning town where listeners could line up for free tickets to their TV show which was also broadcasted live.